Combination Pack containing 25 White Louver Repair Pins (RP1) and 25 Nylon Louver Pins (NLP). When re-installing louvers into an existing shutter panel it is only necessary to use a spring loaded retractable Lover Repair Pin (RP1) on one side of the louver. Utilize the less expensive solid Nylon Louver Pin (NLP) on the opposite side of the louver. 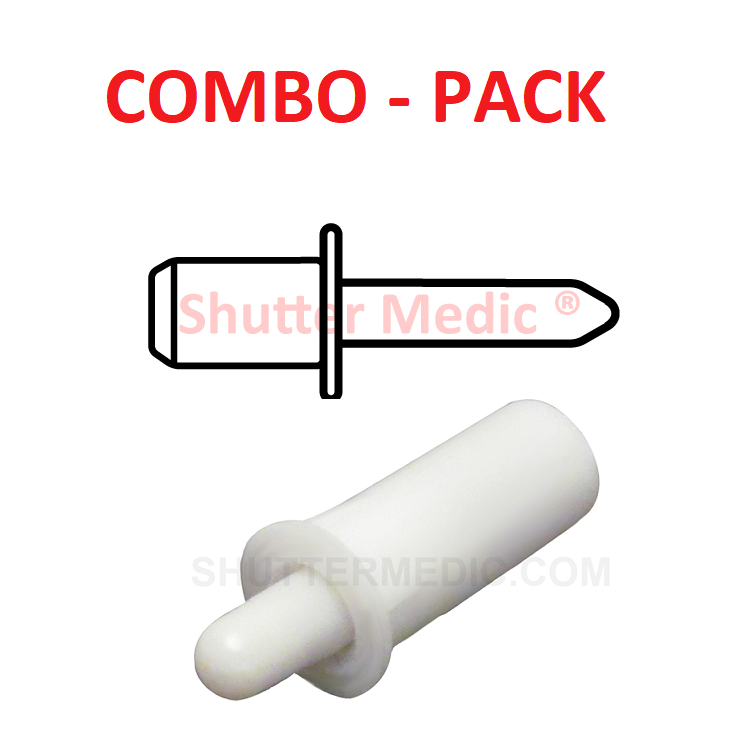 We’ve used Shutter Medic for a few years now and will only order from this company. Quality products. Perfect product for a repair. This kit was sweet deal to repair plantation shutters!! This sure made my life easier when I had to repair several slats.